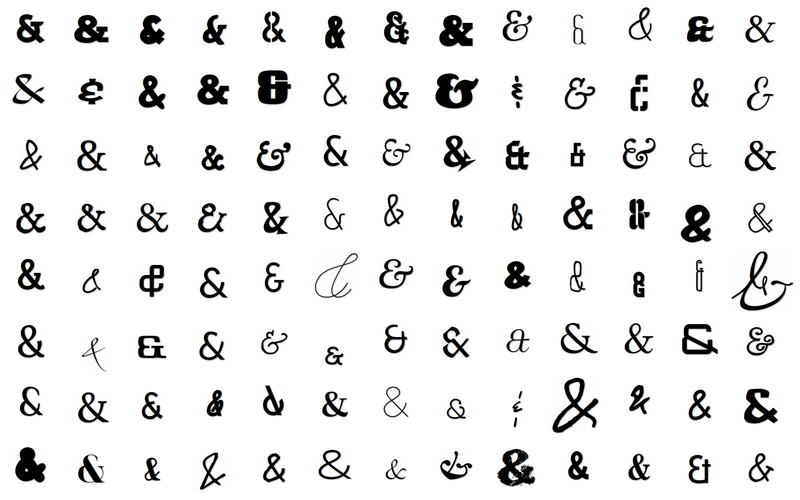 This is a selection of single-character fonts. A single-character font is, literally, a font file that only contains glyphs for a single character. The single character in these font files is the ampersand. 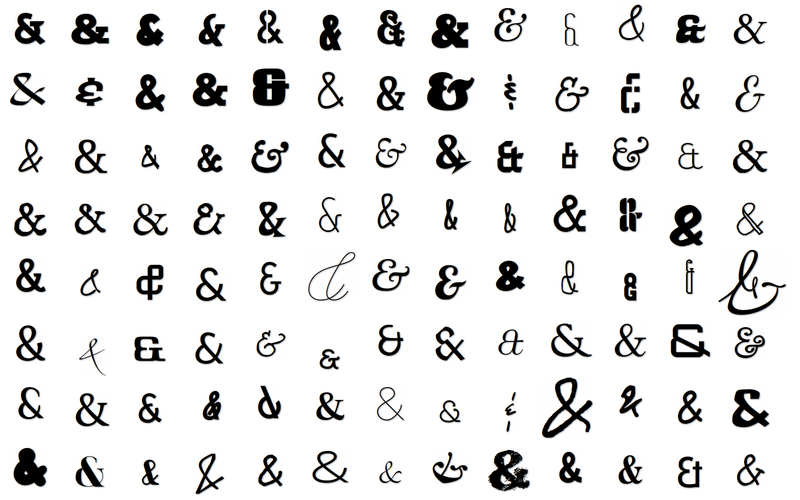 Each ampersand on this page is real text, not an image. Just like any text, you can select it, copy it, paste it, and apply CSS to it. The ampersands scale as you zoom the page, and they work in virtually every browser — even ancient versions of Internet Explorer. Click an ampersand to download a webfont kit. 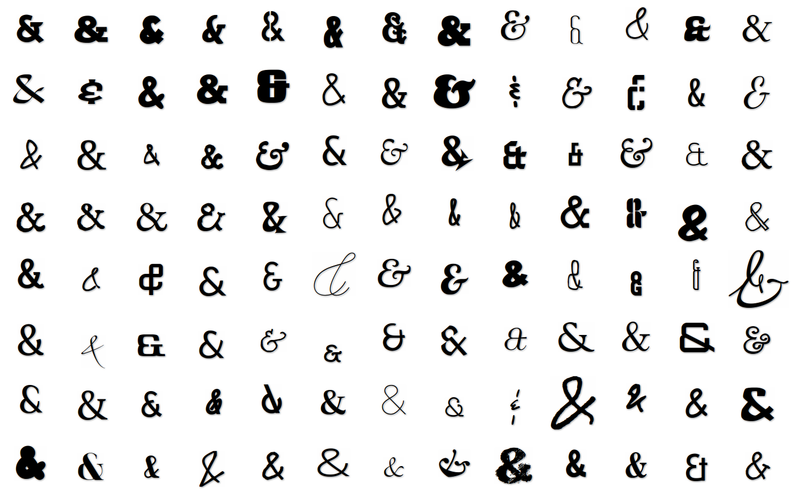 Each kit contains 5 essential files: 4 font formats and a demo.html file that shows you how to use the custom ampersand in and around other text. Upload the fonts to your own server and adjust the CSS to point to your copies of the fonts. Each kit also includes the complete, original font in the original/ subdirectory. This file is not required for web use. Feel free to install it locally if you like the font; all the fonts on this page are open source. If you want to use custom fonts on your own web pages (for more than just ampersands), check out the Google Web Fonts Directory. 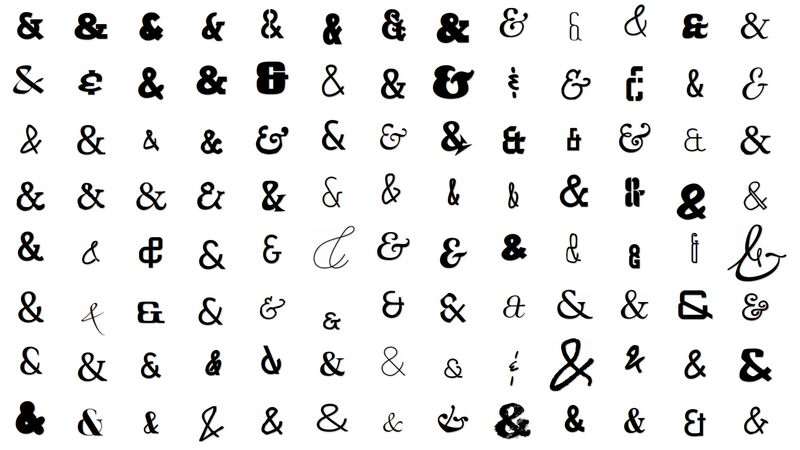 This project was inspired by an old post, Use the Best Available Ampersand. At the time, webfonts were not yet ready for prime time, so the focus was on pre-installed fonts on various desktop PCs. In 2011, web typography is limited only by licensing, and all of these fonts are open source. 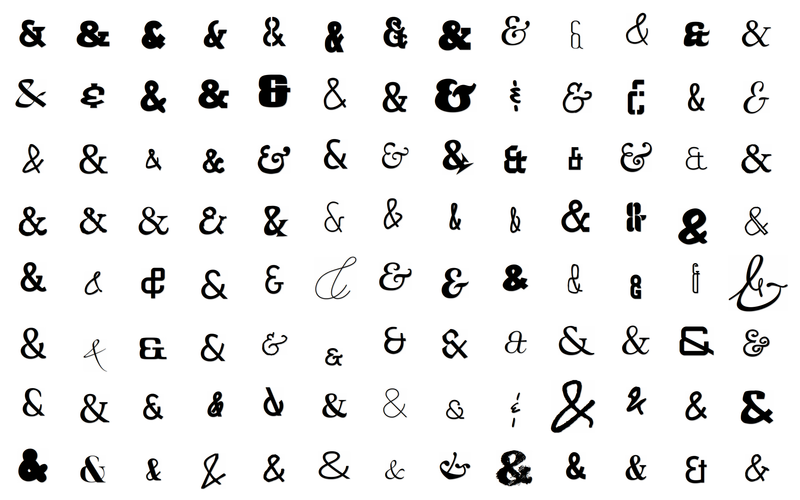 What better way to celebrate open standards and open source than with a fine selection of ampersands? This site was created by Mark Pilgrim and released in March 2011. It relaunched in May 2014, now maintained by Paul Irish and these fine folks. It's available under the MIT license (viewable in the HTML source). Please feel free to contribute on GitHub. The original fonts came from the Google Web Fonts Directory, The League of Moveable Type, Kernest, and other fine purveyors of open source fonts. They were each whittled down to a single-character font file with Font Squirrel’s @Font-Face Generator. 2560×1600, 2560×1440, 1920×1200, 1920×1080, 1680×1050, 1440×900, 1280×800.